It does not matter if you ride on the street or the track, the Strada Full-Face Motorcycle Helmet is packed with features to improve your experience. The carbon fiber shell is reinforced with DuPont™ KEVLAR® to make it tough without making it heavy, and it has plenty of surface mounted ventilation. A quick release, scratch resistant, and anti-fog clear faceshield is supplemented by an easy to use drop down sun shield making it easy to transition from sun to shade. The Strada also has an anti-bacterial liner featuring 5mm of adjustability for a more comfortable fit. Own the road with Strada. Good helmet, with a few quirks. I got this helmet because the fit was perfect and it was light. I commute daily, but also do a few hundred miles every other weekend to go to the mountains and hit the twisties. As stated before, this helmet is really light, especially given that it's got an internal sun visor. It's stylish and also has good air flow. The vents are also really easy to operate with a glove on. The visor removal/installation seems really simple too. This helmet is loud. With a Scorpion and Shoei, I could hold conversations with my Sena 20S at triple digits and the person I was talking to on the phone could not tell I was riding. At 65 with this helmet, people cannot understand me. This also extends to helmet cam microphones. Next on the list is just that. There's a weird and seemingly unnecessary groove on the sides that makes side mounts really tricky. A GoPro mount fits in there but it has to be diagonally, and I doubt any other brands will fit due to how narrow it is. Also, the visor/sun visor fog horribly. It's daylight when I leave to work and I'm riding straight toward the sun. Lately it's been in the mid-60's and unless I'm moving, this thing will instantly fog up. Overall, it's a good helmet if you're using it just for riding and/or the track. If you use a helmet with a Bluetooth system and/or camera (or just really hate noise), or if you live in a place with cold weather, you should probably consider other options. SO LOUD YOU NEED EARPLUGS. Had a bilt "blast" helmet which wore out after one riding season.decided to drop more on a better helmet this time around.the strada is light as can be n fit like a glove.the vents provide great ventilation n kept head cool.the padding is great n tones down the excessive noise wen riding.no fogging yet n I've worn it being 40° in my morning commute. I've been using a full face Seven Zero Seven for the past 7 years. 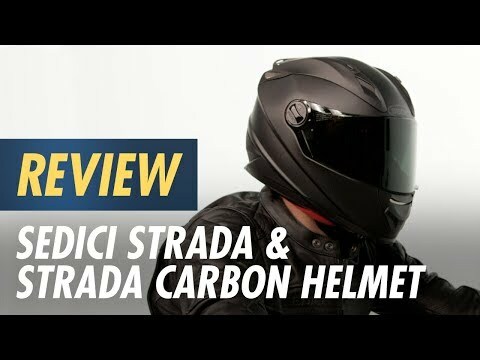 It was time to upgrade so I checked out the Sedici Strada Carbon Fiber helmet. The helmet is light which really helps on long rides. I ride a Harley Road King and an Electraglyde Ultra Limited. It has good airflow and is cooler inside than my previous helmet. I riden on cool mornings and it didn't fog but have not experienced the cold yet. It is very comfortable. The drop down internal tinted visor is nice. I removed the clear outside visor and replaced it with a "smoke" visor. It works really great in direct sunlight. I removed the Sena bluetooth intercom system from my old helmet and placed it into the Sedici. It works well and does not create pressure points on my ears like my old helmet did because Sedici cut out little indentions for the earphones. Great technology. 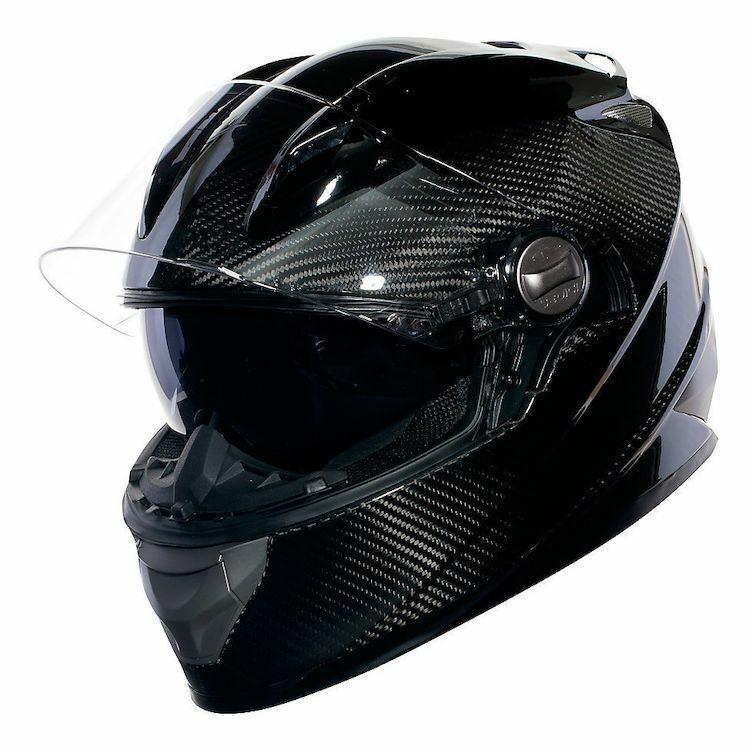 Some people were talking about windnoise and if you are using a bike WITHOUT a windshield you will most likely find the helmet noisy (I think its because of the vents allowing good airflow). All my riding is behind a windshield and I didn't find it to loud at all. You may notice a little airflow up through your chin area around your face (again, due to increased air flow) but it is not a bother. All in all so far I am impressed with the helmet. I use it in the city riding my new cruiser. Was T-Boned recently while wearing a 3/4 helmet. Among other medical bills and suffering, the serious dental and face reconstruction are things I would try to avoid! Loss of a Harley Blackline was monor in comparison. Not really enough ear space for big ears and helmet speakers. They need to hollow out a bit more space at the ears. Need to keep the soft rubber nose piece in place to keep air flow to a minimum in cold weather. Just picked this helmet up the other day. Wanted a helmet that had less wind noise and was lighter than my old one. With the chin wind blocker in place the quietness of the helmet is decent. Without it, there is quite a bit. The numerous vents keep this helmet cool though which is a huge plus as I sweat terribly. Overall it's pretty good, not a SHOEI, but you get what you pay for. The best one so far... I really love it..
Great style, quality and price! Fits a little tight but it’s normal for break in process. All and all great fit and buy! 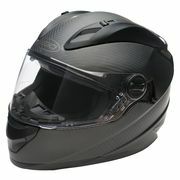 Good looking helment with good ventilation. I have had any fogging problems so far. Overall, good build quality and features for a good price. whats the difference between this helmet and the primo version? BEST ANSWER: The $299 version has an inner sun shield that can be raised and lowered. See the lever behind the attachment of the face shield. The $279 version only has the outer shield. Is there a transition shield for this helmet? No, a clear outer shield but inside there is a flip down totally shaded shield. Two shields, both extreme sides of the spectrum. You really don't need that because you have a clear visor and a dark tinted flip down visor also. are these helmets Snell and/or SFI rated?